Supetar welcome magazine is the annual edition of the Tourist community of Supetar town and your best guide through tourist offer of Supetar town and the island of Brač. 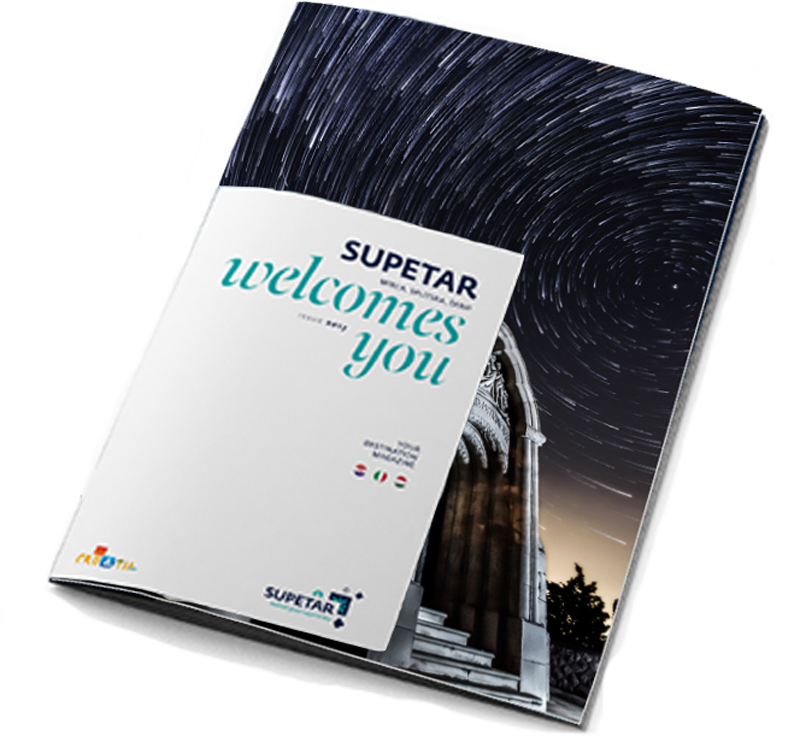 In addition to the basic tourist information about the towns of Supetar, our Welcome magazine contains maps of Supetar and the island of Brač, stories about culture, gastronomy, Ivan Rendić – great superstar culture and information about public service. The magazine is printed in two three language-issue editions in more than 30,000 copies.